Members of the media are invited to meet women who served during WW2 and since, and witness a rededication of the ATS Lady statue by Dame Kelly Homes MBE at the WRAC Association plot. The time is now for members of The Media to meet and celebrate inspirational women who served in WW2! Celebrations are announced to mark the 80th anniversary of the formation of the ATS, and to remember the essential contribution made by women who served during WW2, including HM The Queen. An act of commemoration and re-dedication will take place at 2pm on Sunday 8th July at The National Memorial Arboretum in Alrewas, Staffordshire. COME AND MEET SOME REMARKABLE WOMEN WHO SERVED IN WW2! The WRAC Association’s 3,000 members include many who served in the ATS until its disbandment in 1949 when the WRAC was founded as the female-only section of the British Army. 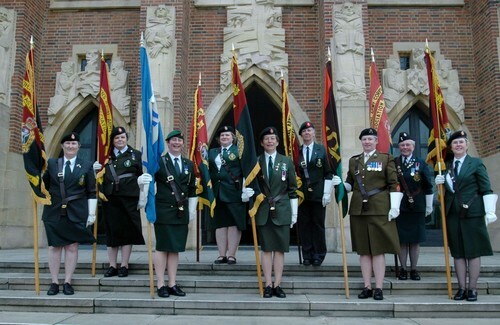 (It was disbanded in 1992, after which women joined regiments alongside their male counterparts). 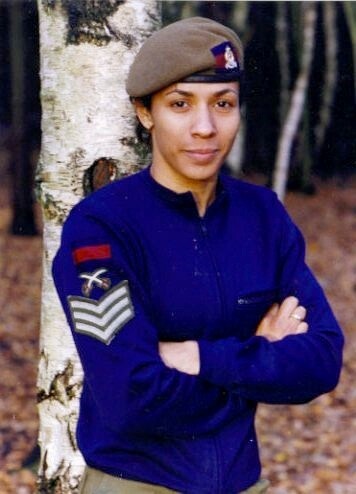 The youngest member who served in these exclusively-female sections of the army is around 45 years old, and the eldest is well in to her 90s. As such, the time is now to have their inspirational stories told! Nancy Tipton joined the ATS aged 17 in order to see the world. She remembers fondly dancing at RAF Aerodromes, and marching in the route march drills in Guildford. 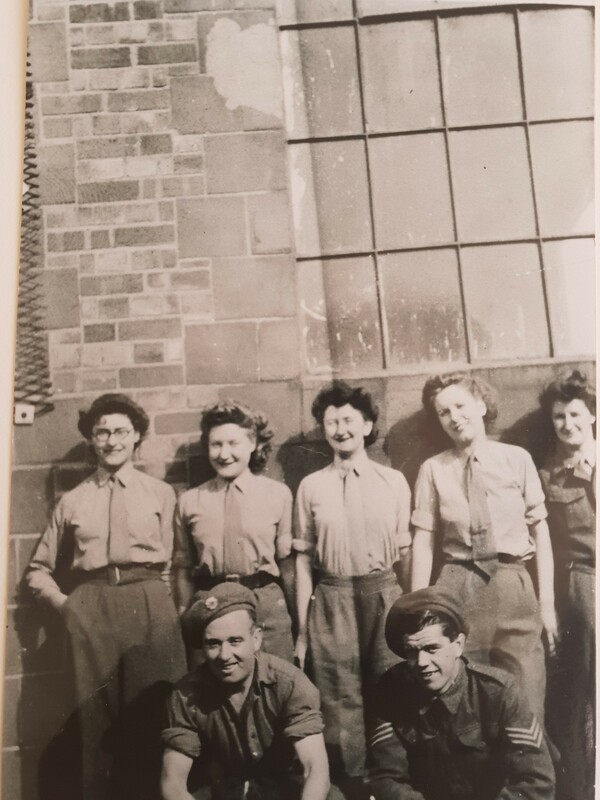 During WW2, she recalls issuing rations and taking turns to make tea & coffee on a huge gas cooker: “One day, I smelt gas and opened the door which created an almighty explosion and lots of flames. I ended up in hospital with no eyebrows, less hair, and a yellow-painted face!” Many of these women still provide invaluable espirit de corps to members of the WRAC Association. Bletchley Park code breaker, Betty Webb aged 94 is one of the Association’s oldest members. As President of its Birmingham branch, she notes the importance of attracting women who are unaware they could join: “Having been reunited with Bletchley Park women after our activities became public, I made many friends amongst fellow serving women”. In the autumn of 1938, a year before WW2 broke out, the Women’s Auxiliary Territorial Service (ATS) was officially launched. The Service was made up of volunteers who undertook six weeks of basic training, and received only two thirds the pay of male soldiers. After the outbreak of war in 1939, 300 ATS members were sent to France. As more men were sent to the front lines, the ATS membership, (for women-only) rapidly increased; by December 1939 there were 23,900 women aged between 19 and 23 years old in the service, with numbers peaking at 212,500 in 1942. The women of the ATS made significant contributions during the war as ammunition inspectors, mess orderlies, postal workers, and military police. Furthermore, over the six-year period, 500 ATS personnel were trained to operate the Cinetheodolite, a photographic instrument used to collect data in testing missiles, rockets, projectiles and aircrafts. The life-size statue by Andy DeComyn portrays an ATS woman wearing a basic khaki uniform. It was originally unveiled in 2006 as a memorial to the role played by women in WW2, but has been restored and moved to the WRAC Association’s plot in the NMA. The Queen is the WRAC Association’s Patron. A tribute from Her Majesty will be read out at the service (which will involve a short act of re-dedication and commemoration followed by afternoon tea). Her Majesty joined the ATS as a Subaltern in 1945 aged just 18 and was the first female member of the Royal Family to join the Army as an active member. During her time in the service, she learned to rebuild engines and drive ambulances, and her uniform can still be seen at the National Army Museum in Chelsea, London. Her driver’s license is also on display in Winchester at the AGC Museum. •	WRAC Association National Standard and local Royal British Legion Standards. ●	Benevolence. The WRAC & ATS Benevolent Fund distributes grants to former servicewomen (1917-1992) in need of financial assistance. In 2016 the charity awarded over £220K in benevolence grants. The first party of 14 WAACs arrived in France on 31 March 1917, and eventually 9,000 women were to serve there. The WAAC was formally established by Army Council Instruction 1069 of July 1917. On 9 April 1918, largely as a result of their sterling conduct during the German March offensive of that year, the service was renamed Queen Mary’s Army Auxiliary Corps (QMAAC), with the Queen becoming Commander-in-Chief. The QMAAC Old Comrades Association was formed in 1919, this would later evolve into today’s WRAC Association. The QMAAC ceased to exist on 27 September 1921, but some 57,000 women had served with the Corps, both at home and in France and won 3 Military Medals for gallantry. As part of the mobilisation of the whole country this milestone in the push for equal rights formed the basis for women’s service in the British Army to this day. PRONOUNCIATION NOTE: The ‘WRAC’ and WRAC Association’ is always referred to in full i.e. W.R.A.C. rather than ‘wrac’ or ‘wracs’. The ‘ATS’ is referred to in full – i.e. as A.T.S. (as in R.A.C.) not as ‘ats’. For all enquiries, including interview requests and hi-res images, please contact Hannah Kapff or Molly Gunton at Curious PR, who will attend the event. This press release was distributed by ResponseSource Press Release Wire on behalf of WRAC Association in the following categories: Men's Interest, Women's Interest & Beauty, Public Sector, Third Sector & Legal, for more information visit https://pressreleasewire.responsesource.com/about.